Her themes revolve around tween / teen culture, girlhood and suburban ideology / iconography. "I grew up in the suburbs of Toronto surrounded by shopping carts and old ladies in headscarves. That’s all I knew for the longest time. Housing developments, strip malls, backyards and Jewish summer camp. It was comforting, one of those good childhoods and I loved it. As I got older I caught the notion of other things, other places I wanted to see. I fled straight for the city, and then kept going till I managed to get as far away I could. At some point I started taking photos. Photos of shopping carts and old ladies in headscarves, people wandering around strip malls. It didn’t matter what city I was in, I’d find them, these people that seemed so familiar to me. I’d get so close to them with my camera they would be forced to talk to me. They’d ask me why and I would tell them that I thought they were beautiful." George Lange’s work as a photographer is known all over the world. He grew up in Pittsburgh and now lives in Boulder, Colorado, though his career has taken him just about everywhere. After graduating from the Rhode Island School of Design, he worked for the legendary photographers Duane Michals and Annie Leibovitz before going out on his own. Since then, his work has appeared on movie posters; billboards; in numerous platforms for many major corporations; newspapers, including The New York Times,The Chicago Tribune and USA Weekend; and in almost every major magazine, ranging from O: The Oprah Magazine, Entertainment Weekly, People, ADWEEK, Esquire, Glamour, Parade, and GQ to Self and Sports Illustrated. Lange has photographed everyone from Jim Carrey to Honey Boo Boo; from latex glove factories in Thailand to ice cream production in Columbus, Ohio; from the cast of Seinfeld to Cake Boss; from choreographers to jewelers. Lange is also an accomplished director, working on projects for One Kings Lane, Merrill Lynch and Jeni’s Ice Cream. His work is guided by one simple truth: an unforgettable photograph is not about what the image looks like, but what it feels like. Lange believes that when we do what we love and take pictures from the heart, “all we’re doing is putting love out into the world” - a line heard by all subjects who have been in front of Lange’s camera. Sam Abell has been a photographer for over 40 years and has been largely known for his work with National Geographic. His career has revolved largely through his many long-term projects for magazines and books. He is also an author, artist and teacher. He has published several books including The Photographic Life, Seeing Gardens and The Life of a Photograph which provide wonderful collections of his body of work. Sam's ability to compose layered compositions have helped him to create images that are considered some of the best photographs ever made. He shares his insights in his workshops through the Julia Dean Photographic Workshops and the Santa Fe Photographic Workshops. Celebrated photographer Matthew Jordan Smith has worked with some of the top names in entertainment today including Haile Berry, Jennifer Connelly, Jamie Fox, Michael Jordan and Oprah Winfrey. Matthew’s love of photography and people stretches far beyond his commissioned work and has given birth to several personal projects including two books. The first book entitled Lost and Found and sponsored by Microsoft focuses on missing and exploited children and is endorsed by the National Center for Missing and Exploited Children. His other book includes Sepia Dreams which features portraits and interviews with accomplished African Americans. A native of New York City, Matthew has taught at the prestigious School of Visual Arts in Manhattan and the Santa Fe Photographic Workshops. He is also an active volunteer with several art schools including Pratt Institute, Parsons School of Design and RIT. He is a board member of Kids with a Cause Europe and APA/LA. With Effortless Beauty, Julie DuBose brings a new perspective to photography. She talks in an intimate way not just about how we express our experience with our camera, but about a whole new and fresh way to experience our visual world altogether. She guides us through the process of seeing without our usual habitual ways of experiencing what we see, so that we can have vivid, mind-stopping visual perceptions, and express those perceptions exactly as we see them. Julie DuBose has been a practitioner of Miksang Contemplative Photography since 1998. She studied with Michael Wood, the founder of the Miksang Training course of study and practice, and began teaching courses with him in 2005. Together they have developed the Miksang Training curriculum and have taught in North America and Europe. In 2009 Julie co-founded The Miksang Institute for Contemplative Photography in Boulder, Colorado. In addition to courses held in various locations in the US and Canada, each summer The Miksang Institute hosts a three week intensive course of study on the principles and practice of contemplative photography. Miksang Publications was founded in 2010 to produce print and digital books on the practice of Miksang Contemplative Photography and related art forms. Effortless Beauty is the first offering of Miksang Publications. Born in Paris in 1928 to Russian parents, Elliott Erwitt spent his childhood in Milan, then emigrated to the US, via France, with his family in 1939. As a teenager living in Hollywood, he developed an interest in photography and worked in a commercial darkroom before experimenting with photography at Los Angeles City College. In 1948 he moved to New York and exchanged janitorial work for film classes at the New School for Social Research. In the late 1960s Erwitt served as Magnum's president for three years. He then turned to film: in the 1970s he produced several noted documentaries and in the 1980s eighteen comedy films for Home Box Office. Erwitt became known for benevolent irony, and for a humanistic sensibility traditional to the spirit of Magnum. Dan (Dano) Steinhardt has over three decades of business experience in photography. In addition to national academic achievement, Steinhardt was first recognized for his photography when Scholastic Magazine awarded him the Grand Prize as the best high school photographer in North America. As Marketing Manager at Epson America, Inc. Steinhardt's responsibilities help position Epson as a key player in the photographic industry to professional and amateur photo markets. Steinhardt was fortunate to have attended Reseda High School in Los Angeles, CA studying under the legendary Warren King. While still in high school, Steinhardt began assisting professional photographers in Hollywood, CA. Because of his background at Reseda High and experience as a photo assistant, Steinhardt was awarded advance standing at Brooks Insitute of Photography, Santa Barbara, CA where he double majored in Advertising/Illustration and Industrial/Scientific photography graduating with a Bachelors degree at the age of 20. After graduation from Brooks Institute, Steinhardt operated his own commercial photography studio in Chicago, IL, specializing for eight years in advertising photography for national clients. During this time, Steinhardt worked in large format table-top product and food photography and was voted by American Photographer Magazine as, "New face in advertising photography". Before joining Epson, Steinhardt was a marketing director in the Professional Division at Eastman Kodak Company and held a variety of positions at Eastman Kodak in Rochester, NY and New York City including strategic marketing director, market segment manager and professional imaging specialist. In addition to a bachelor's degree with honors from Brooks Institute of Photography, Santa Barbara, CA, he has completed additional studies in the business schools of Harvard University, Cambridge, MA, the University of Virginia, Charlottesville, VA and the University of Michigan, Ann Arbor, MI. Chris Gampat is the founder of The Phoblographer and he manages all of the daily tasks. He has worked for Photography Bay, PCMag, Geek.com, Magnum Photos, B&H Photo Video and MAC Group amongst others. He specializes in content development and Social Media marketing campaigns for the creative industry. Chris also freelances for many other publications such as Digital Camera Review, Gear Patrol, Imaging Resource, and Resource Magazine. The Phoblographer is a site dedicated to the practice of photography with reviews that are rooted within the real-world use of equipment and software. It also includes features on photographers, helpful tips and humorist articles revolving around the world of photography. ​Kevin McCollister is a Los Angeles based photographer who has been sharing images on his blog East of West LA since 2006. In his blog and his book by the same title, he explores parts of the city of Angeles not frequently explored in film and television. His photographs of Los Angeles, reveal the mash-up up the past and the present with images that often reflect how buildings and spaces have been continually adapted with each generation of Angelenos, particularly immigrants. His night photographs reveal a Los Angeles which seems virtually abandoned upon nightfall, but which still reveal glimpses of the people and the communities that work and exist there during daylight hours. Born in Ohio, McCollister worked as a deckhand on the Mississippi River for several years after which he lived in Cambridge, MA where he attended Harvard University Extension School. He has lived in Los Angeles longer than he has lived in any other city. David H. Wells a free-lance photographer affiliated with Aurora Photos and photo educator in Providence, Rhode Island. He specializes in intercultural communications and the use of light and shadow to enhance visual narratives. His work has been featured in one-person exhibits at Brown University, U.C. Berkeley and Harvard University. His work has been part of group exhibitions at the Houston FotoFest and the Visa pour l'Image Festival in Perpignan, France. He has been an Artist in residence at the Visual Studies Workshop and the Light Works Photography Center. As an Olympus Visionary, Wells has been contracted by the camera company to produce images and provide feedback on new product lines. David H. Wells recommends the work of Harry Callahan. A special announcement about a dedicated phone and tablet app for The Candid Frame photography podcast. We are hoping you would consider donating just $10 towards making the app available for free for all listeners of the show. If you and 23 other listeners do this, we will be able to provide a free pathway to the great content we offer at The Candid Frame. Mark and Holly Jansen of Mark Jansen Photography and Jansen Photo Expeditions have been displaying their art as well as teaching and guiding photographic workshops since 2005. They take their clients on photographic dream tours throughout the American West and the world. Jansen Photo Expeditions workshops include DSLR workshops, iPhone photography classes, and online classes in basic photography, Photoshop, and Macro Photography. Mark Jansen is a native of Los Angeles, CA, and the founder of Mark Jansen Photography and Jansen Photo Expeditions. He was educated at Moorpark College, Moorpark, CA, in Commercial Design and Photography. Mark participates regularly in photographic continuing education programs and trade shows, so he's always on the cutting edge of our rapidity changing photographic world. Mark is personally involved in every project and workshop he holds and puts his personal stamp of excellence on everything he does. Mark has lived and breathed photography all his life. His childhood passion for tinkering with video and film cameras and other gadgets has turned into a successful visual arts career. Many of his works are in private and corporate collections such as State Farm Insurance and Sysco Food Services Corporate offices in California as well as large format murals in the Waypoint Cafe in Camarillo, and the Santa Maria Airport in Santa Maria, CA. Holly Higbee-Jansen has a life long passion for photography and loves to share her art and knowledge with her clients . For the past 40 years, Holly has been exploring her fascination with light through photography since her family attended workshops with Ansel Adams in Yosemite Valley as a young child. Holly has degrees in Business and Environmental and Interior Design. Holly honed her photographic skills through years of traveling the world and photographing natural landscapes and displaying her work along with her husband Mark in galleries and art shows throughout Southern California. Eventually, this love of light expanded into teaching workshops throughout the west and the world with Jansen Photo Expeditions. Currently, Holly's photographic work has expanded to include women's glamour portraits, the exploration of the beauty of women in natural light. Don Giannatti has been a photographer for nearly 40 years, and has had studios in Phoenix, Chicago and New York. He was a fashion and beauty shooter for the first half of his photographic career, and now adds "Americana" portraiture and travel work to his diverse subjects. He has written three photography books for Amherst Media (avail on Amazon) and taught two highly acclaimed workshops on CreativeLIVE. He lives in Arizona and travels extensively throughout the West and Northwest. He is also a designer who specializes in working with small businesses and photographers. John Perello (Jon One) was born in New York's Harlem neighborhood to parents from the Dominican Republic. Growing up in Harlem, his introduction to street art began at an early age, when he would see graffiti and tags on subway cars and city walls. When he was 17 he entered the world of graffiti with his childhood friend "White Man," tagging his name Jon with the numbers 156 on walls and trains in his neighborhood. He said, "The subway is a museum that runs through the city." He began his work as a painter on canvas in a workshop at the Hospital Ephemeral, a literal hospital building that became a squatting place for artists, located in the 18th arrondissement of Paris. Here, he painted with the artists A-One, Sharp, Ash, and Jayone Skki. Soon, he made a name for himself in Parisian artistic circles through his work on canvas and the exhibitions he held, including one in 1990 at Gallery 45 Gleditsch in Berlin and the exhibition Graffiti Paris, at rue Chapon in Paris. "From Africa to New York, Brazil to the Texas Hill Country, Sarah Brooke Lyons strives to capture the essence of people and culture through photography. A Texas native with roots in the city of San Antonio, her aesthetic style is most evident when immersed within a subculture or engaged with a subject, allowing her to present an uncommon perspective of their story. Sarah’s desire is to continue her focus on finding the allure in every moment and with every person through her faith in God, entrepreneurial drive, and artistic spirit." He has taught at Art Center College of Design, lectured at UCLA Extension, and the Photographic Resource Center at Boston University. He has served on the board of APA/Editorial Photographers, and as an honorary member of the Society of Motion Picture Still Photographers. Zack Arias is an Atlanta-based commercial and editorial photographer who specializes in portraiture, music and street photography. He is the author of Photography Q & A: Real Questions. Real Answers. He provides a frank, unique and honest choice to what it means to create and maintain a career as a professional, working photographer. Mary Ellen Mark has achieved worldwide visibility through her numerous books, exhibitions and editorial magazine work. She has published photo-essays and portraits in such publications as LIFE, New York Times Magazine, The New Yorker, Rolling Stone, and Vanity Fair. For over four decades, she has traveled extensively to make pictures that reflect a high degree of humanism. Today, she is recognized as one of our most respected and influential photographers. Her images of our world's diverse cultures have become landmarks in the field of documentary photography. Her portrayals of Mother Teresa, Indian circuses, and brothels in Bombay were the product of many years of work in India. A photo essay on runaway children in Seattle became the basis of the academy award nominated film STREETWISE, directed and photographed by her husband, Martin Bell. 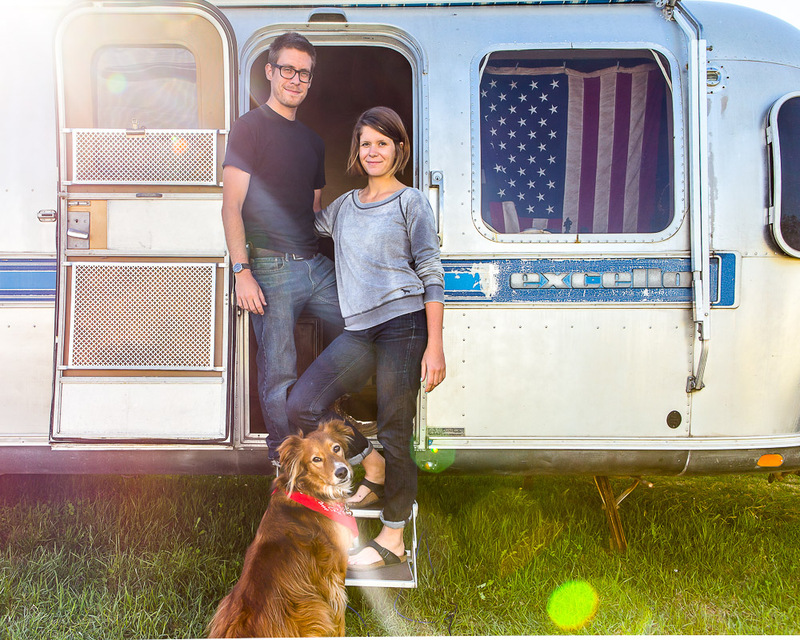 John Ellis and Laura Preston left their lives in New York City on February 1st, 2013 to spend a year traveling around the United States in a 34 foot Airstream trailer. But instead of choosing their own destinations, they crowd-sourced the itinerary, letting the internet decide where they go. John, a freelance web developer, designed and built a website where people can suggest any place in the country for the couple to visit. The suggestions can then be voted upon; John and Laura visit the places with the most votes. They share photos and stories about their experiences on their blog and various social medias. Both John and Laura come from artistic backgrounds. John went to school in Atlanta to study photography and worked for legendary photographer Jay Maisel for a number of years in Manhattan. Laura is a painter and studied art history and studio art at New York University. As a freelance photographer, Jonathan works both on the street and producing photo/video reportage on a variety of stories which focus on; political, cultural and emotional isolation, alienation, loneliness, racism and discrimination. Annu Palakunnathu Matthew's recent exhibitions include the Newark Art Museum, Newark, NJ, Light Work, Syracuse, NY, Sepia International, New York City, the RISD Museum, the 2006 Noorderlicht Photo Festival in Netherlands and the 2005 Le Mois de la Photo a Montreal Photo Biennale in Canada. In 2007, Matthew was the first of three artists to be awarded the 2007 MacColl Johnson Fellowship in Visual Arts. Among the list of other grants recently supporting Matthew's work include the John Gutmann Fellowship, Rhode Island State Council of the Arts Fellowship and the American Institute of Indian Studies Creative Arts fellowship. She was recently an artist in residence at the Yaddo Colony, Saratoga Springs, NY and the MacDowell Colony, Peterborough, NH. Her work can be found in the collection of the George Eastman House, Rochester, NY, Museum of Fine Arts in Houston, Center for Creative Photography, Tucson, AZ, and the RISD Museum, Providence, RI, among others. Matthew's work is included in the book BLINK from Phaidon, that according to the publisher celebrates the quality and vision of today's 100 most exciting international contemporary photographers. Annu Palakunnathu Matthew is on the Board of Directors of the Rhode Island Council for the Humanities and the URI Council for the Humanities. She is represented by Sepia International Inc., New York City & Tasveer Gallery, India. I make photographs and photograms by constructing temporary still lifes, using vintage found objects and images on top of photographic paper in the darkroom. By manipulating a variety of light sources, then digitally combining, repeating or adding images, I am able to visually explore an abstract environment with objects and light, creating movement, form and tension. After a short-lived tenure as a junior high school teacher and coach, then a flirtation with filmmaking, Will Jacks finally settled in on a career as a photographer. Eager to get started, he left Journalism graduate school in 1996, even though he was only a few hours shy of receiving his degree. His business has grown to serve a diverse clientele of commercial and editorial clients throughout the southeast, and his personal work is represented in several galleries in the region. In addition, his documentary work of the Mississippi Delta is a prominent part of the Viking Range permanent archives. Will is also active in the photographic and arts communities, serving as a past executive board member for the Delta Arts Alliance, a governor-appointed board member of the Mississippi Blues Commission, and as a judge for the ShootQ Grant, among others. He also owns and operates a small photography gallery focusing on imagery from the Mississippi Delta, and just this spring has re-enrolled at the University of Mississippi in order to finally complete his Master’s Degree. He and his wife Jamie, as well as their two pound puppies, Sam and Homer, live part-time in the Mississippi Delta and part-time in the French Quarter of New Orleans. Joshua Mann Pailet recommends the work of Josephine Sacabo and Louviere + Vanessa. Support the work we do on the podcast by donating using PayPal. Your contributions help directly in us continuing to bring great interviews every week directly to you. Ken Light is a social documentary photographer, and educator, whose work has appeared in books, magazines, catalogues, on-line media and exhibitions. He is the author of eight books including his most recent book, Valley of Shadows and Dreams (published by Heyday, 2012). Additional books include Coal Hollow, published in 2006 by The University of California Press, his text Witness In Our Time; Working Lives of Documentary Photographers was published by the Smithsonian Institution Press in October 2000 and in a revised second edition in 2010. His photo book Texas Death Row University Press of Mississippi was published in the fall of 1997. Texas Death Row is a look at life inside the death house as the condemned wait to be executed in Americas largest and most active Death Row. He is a professor at the Graduate School of Journalism at the University of California Berkeley and 2012 Laventhol Visiting Professor at Columbia University Graduate School of Journalism. He has taught workshops at the ICP in New York City, The Missouri Workshop, Anderson Ranch, the S.F. Art Institute and the School for Photographic Studies in Prague. He was editor of the university of California Press series on contemporary photography and a founder of the International Fund for Documentary Photography which awarded grants to photographers internationally and Fotovision.org anon-profit documentary organization based In San Francisco, California. He is associated with the editorial photo agency Contact Press Images in New York City. Jerry Monkman is an outdoor photographer and film maker who specializes in conservation issue affecting the Northeastern U.S. His work has been used in publications around the world and his images have been used in more than 100 land conservation projects since 2000. He is also the author of 9 books, including The AMC Guide to Outdoor Digital Photography, which won a 2012 National Outdoor Book Award. Don Komarechka is a Barrie, Canada based nature & landscape photographer with a passion for photographing the unseen world. From abandoned buildings to swirling stars, lightning to snowflakes, Don’s images convey a sense of curiosity and wonder. Angelo Merendino is an Akron native who has lived in Nashville, Taos and most recently Manhattan. When his wife of 5 months was diagnosed with breast cancer Angelo found that the most effective way to communicate and share their daily challenges was with his camera. The resulting body of work was first exhibited in Cleveland, OH, and has since been shown in New York City, Brooklyn, Rome and Washington DC. Angelo’s photographs have been published in The New York Times, The Guardian, The USA Today and La Repubblica. Online features include The Huffington Post, The New Yorker’s PhotoBooth, CNN.com’s Photo Blog and EverydayHealth.com. Her work is currently part of the War/Photography Exhibit being exhibited at the Annenberg Space for Photography in Los Angeles. Travel photographer Tom Carter (1973) was born and raised in the City of San Francisco and graduated with a degree in Political Science from the American University in Washington, D.C. Following a political career with a number of high-profile state and national campaigns, Tom decided to "peek over the fence" and subsequently spent 18 months backpacking down the length of Mexico, Cuba and Central America. Tom later spent one year in Japan, one year in India, and four years in the People's Republic of China, traveling extensively throughout the country's 33 provinces and autonomous regions. The result was his first book, CHINA: Portrait of a People, hailed as the most comprehensive book of photography on modern China ever published by a single author. photography, sculpture and painting. Zoom Magazine quickly nominated Dean in the ‘New Talent’ issue of 2010 and the Magenta Foundation awarded Dean an emerging Photographer of Canada. Dean’s body of work is now being collected by a growing number of sophisticated art collectors in Australia, Italy, and Canada. Colby’s latest book, Google+ for Photographers, is now available at nearly all major retailers and most independent book stores. It focuses on showing you not only the nuts and bolts of Google+, but how to use its features to build an online following and grow your photography business in this new age of digital personable interaction. Michele Zack has been a writer/journalist for 25+ years. In 2011, she joined the The Huntington-USC Instititute on California and the West (ICW) as Senior Advisor, Local History and K-12 Outreach. ICW pairs a great research university (USC) with a great research library (The Huntington) for a number of projects in doctoral education, public outreach, and thematic and innovative investigations of Western History. Her book Altadena: Between Wilderness and City was recognized in 2005 for excellence by the American Association of State and Local History, and in 2006 she received the Donald Pflueger Award from the Historical Society of Southern California. Currently, she's working on several new projects and writing for Altadenablog.In addition, she serves on the board of directors for Altadena Heritage. Drawing on a previous career in comedy, David is a dynamic and engaging itinerant presenter and educator. A driven artist, creative professional, entrepreneur and life-long adventurer, David educates and inspires through stunning visuals and hilarious travel stories, and insights, from a life spent outside and abroad. Emilio Banuelos has worked as an editorial photographer and consultant for newspapers in Mexico, Panama and the United States. His documentary work earned him fellowships from the Poynter Institute, The Marty Forscher Fellowship for Humanistic Photography and an award from EnFoco Inc. In the San Francisco Bay Area, Emilio teaches documentary photography for the Academy of Art University, and has conducted workshops for the University of California Santa Cruz-Extension, the University of Coahuila and Black Boots Inc.
Joel Meyerowitz is an award-winning photographer whose work has appeared in over 350 exhibitions in museums and galleries around the world. He was born in New York in 1938. He began photographing in 1962. He is a “street photographer” in the tradition of Henri Cartier-Bresson and Robert Frank, although he works exclusively in color. As an early advocate of color photography (mid-60’s), Meyerowitz was instrumental in changing the attitude toward the use of color photography from one of resistance to nearly universal acceptance. His first book, Cape Light, is considered a classic work of color photography and has sold more than 100,000 copies during its 30-year life. He is the author of 17 other books, including the newly released book by Aperture,Legacy: The Preservation of Wilderness in New York City Parks.You can find out more about Joel and his work by visiting his website at http://www.joelmeyerowitz.com. Joel recommends the work of Paul Strand (http://www.metmuseum.org/toah/hd/pstd/hd_pstd.htm) and Alex Soth (http://alecsoth.com). Jeff Sedlik is a photographer, director, educator, publisher, expert witness and consultant. A leading authority on image licensing, copyright and the business of image licensing, Sedlik is President of the PLUS Coalition, past President of the APA, and a Professor at the Art Center College of Design. You can discover more about the Plus Coalition and register for free by visiting its website. Jeff Sedlik recommends the work of Herman Leonard. This episode is sponsored by Adobe Lightroom. Perfect Your Photography from shoot to finish with Adobe Photoshop Lightroom 4 software. Find out more by visiting their website. Nicole Young is a full-time photographer and author. She specializes in food and stock photography and licenses her images through iStockphoto and Getty Images. Nicole is an accredited Adobe Certified Expert (ACE) in Photoshop and is a “Help Desk Specialist” with the National Association of Photoshop Professionals (NAPP). She is author of the books Canon 7D: From Snapshots to Great Shots, EOS Canon 60D: From Snapshots to Great Shots and Food Photography: From Snapshots to Great Shots published by Peachpit Press, along with eBooks published through Craft&Vision. You can find the images that we discussed during the presentation by visiting the website at www.thecandidframe.com. She also has a passion for street photography, writing and educating other photographers. Her articles appear regularly in the Digital Photography School online magazine and she teaches workshops including a street photography through the street of Paris. Robert Rodriguez Jr. was trained as a musician, Robert graduated from the Berklee College of Music in 1990 and was a music producer for 12 years before transitioning to landscape photography and the desire to spend as much time in nature. Robert takes pride in a hands on approach to creating his expressive prints, working on every stage, from the initial exposure and processing, to printing and framing. His prints have been purchased by private collectors and commercial clients throughout North America. Jasmine launched her consulting business in 2010 and continues to be an active member of the photo community. Whether reviewing portfolios at international photo festivals, judging contests, blogging, lecturing at universities or mentoring young photographers, Jasmine keeps her love of photography at the forefront. Tony was invited on the board of Mountain to Mountain, a non-profit foundation working on projects in Central Asia, (Pakistan and Afghanistan). Previously, he had worked with M2M curating for a traveling photo exhibit called the 'Views of the Himalaya' benefiting a village in Nepal. The focus is on the education of young journalists in Kabul (video, radio and photo) with an emphasis on young women in the roles previously prohibited by Taliban extremists. He will soon be returning to that country as part of his work with M2M. Mathieu Young is a commercial photographer as well as a socially conscious photojournalist whose work has taken him all over the world. His entertainment work includes production images for such popular programs such as So You Think You Can Dance? and Glee. His journalistic and personal projects have focused on deforestation in Cambodia, the ongoing struggles of Haitians following the devastation of an earthquake and the personalities that make up the Tea Party Movement. His work has been published in numerous newspapers and magazines. He is a good example of a photographer who uses the funds earned by his commercial work to help fund his personal projects, which not only satisfy his desire to make a difference with a camera, but at times can also earn him greater professional opportunities. Bruce Smith is a fashion photographer who has been working professionally for over three decades. In this second conversation with the Liverpool-based photographer, we discuss what's involved in sustaining a long-term career as a photographer. His commercial and advertising work has been published in publications throughout the world. His sensitivity and rapport with his models extends to his clients, which reflects one of the reasons for his continued success in the highly-competitive field of fashion photography. He is also a generous teacher and offers his years of experience and talent though his international series of photographic workshops. Rebecca is a member of NANPA (North American Nature Photography Association), ASMP (American Society of Media Photographers) and PPA (Professional Photographers of America) and lectures on nature photography and environmental issues. In this episode, the table is turned on Ibarionex Perello as the show's editor Martin Taylor takes control of the microphone to ask the questions of the host of The Candid Frame. In this follow-up to a conversation that aired last year with Jeffery Saddoris, this episode discusses photography, podcasting and the continuing challenges of leading a creative life. Recorded in San Francisco, the conversation provides a glimpse where Ibarionex is today, but provides him the opportunity for him to discuss how the show has changed his life and his photography. Lauri is the Publisher & Editor in Chief of the online publication Nomads Magazine. She is also a contributing writer for The Huffington Post and her essays have also appeared in The Wall Street Journal.com and U.S.A Today.com. Barbara Bordnick is a renowned photographer recognized for her fashion, portrait and fine-art work. Her career began in Europe, but quickly began to be recognized around the world when she began being published in Harper's Bazaar. She has been the recipient of many awards including Clios for film and print, Missouri School of Journalism Award and the International Film Festival Gold Medal. Her fine-art photography has built on her unique sensibility and her approach in photography and has made her a popular instructor. Qiana Mestrich is a photographer and the creator of the popular Dodge and Burn blog, a site dedicated to work of photographers of color. Since she fell in love with photography since she picks up a camera at the age of 16. Her professional career helping other professional to use social networking as a marketing tool. But it's her love for photography and the work on her blog that has helped to inspire her to return to school at earn her master's degree in photography at the International School of Photography in New York, where she is working to develop her own distinct photographic vision. She is a savvy user of social networking from flickr, Twitter and Facebook and has used these as important tools for marketing her work and creating professional opportunities for herself and others. Juan Pons is a nature and wildlife photographer who was born and raised in San Juan, Puerto Rico. He is a strong supporter of wildlife and natural habitat conservation and is a member of several conservation organizations. As well as selling his prints to private collectors, he also donates his images to non-profit organizations with nature and wildlife preservation missions. He is an instructor and workshop leader as well as being the co-host along with Rick Sammon of the popular podcast, The Digital Photo Experience. Warren Keating’s latest works in the Overview series, are the result of collecting photographs and video of unwitting subjects from balconies in France, digitizing them on computer and painting them on canvas. Born in New Orleans in 1965, Keating won several regional awards in oil and watercolor painting and received more than a half-dozen commissions before reaching the age of 18. His work now reflects the culmination of 25 years of painting both the figure and the landscape. His journey to becoming a full-time working professional photographer was chronicled through his podcast as was his recent health challenges. His professional and personal journey as well as his beautiful and stunning photographs are a source of great inspiration to photographers from all over the world. Russell Preston Brown is a photographer who holds the unique position of educating photographers everywhere in the use of Photoshop. In his role as Senior Creative Director at Adobe, he has helped to teach people on the many creative possibilities available in this image-editing software. But it’s his role as guest-curator for the new exhibit, Digital Darkroom, which opens in December 2011 at the Annenberg Space for Photography that has inspired this conversation about an exceptional exhibit of photography. www.thecandidframe.com, thecandidframe@gmail.com. RC Concepcion is Tampa/New York based photographer working as a Content Developer for Kelby Media Group, writer for Photoshop User Magazine, co-host of DTown TV. He is an Adobe Certified Instructor in Photoshop, Illustrator, and Lightroom has over 10 years in the I.T. and e-commerce industry and spends his days developing content for all applications in the Adobe Creative Suite. He is the author of several best-selling books including Get Your Photography on the Web: The Fastest, Easiest Way to Show and Sell Your Work and the HDR Book: Unlocking the Pro's Hottest Post-Processing Techniques.